Did you know? 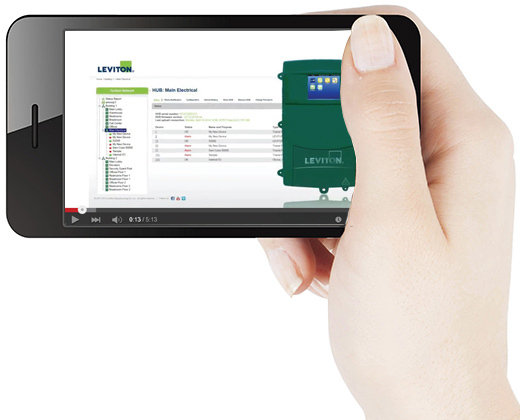 When you purchase any VerifEye Hub from Leviton, access to BMO 2.0 web-based software is included FREE! BMO 2.0 is designed to make measurement and verification simple, and expands a facility’s submeters and hubs into a full energy monitoring system. But why exactly should you be monitoring energy? The truth is, there are numerous reasons to keep close tabs on your facility’s energy trends. Plan Your Energy Management Upgrade: Before starting a project, submetering equipment and software can be utilized to understand how energy is used in a facility and guide the solution strategy. Spot energy-wasting areas and precisely eliminate them! Track Your Energy Conservation Progress: Have you recently retrofitted your facility with new technologies like smart centralized controls, photocells and occupancy sensors? Prove the effectiveness of these efforts by tracking the building’s energy usage over time. Properly Allocate Costs: Receive an accurate detail of energy use and demand from specific circuits or areas in a complete building or complex in order to allocate costs to specific departments or tenants. Improve budgets and recoup costs with revenue-grade metering. Cost-Effective Green Building: Submetering is the most cost-effective tool to gain LEED points and achieve green building initiatives. Local Law and Code Compliance: New legislation, such as New York’s Local Law 88 and California Title 24 2013, require submetering capabilities for applicable commercial applications. Refer to your local energy code for the latest information on compliance. 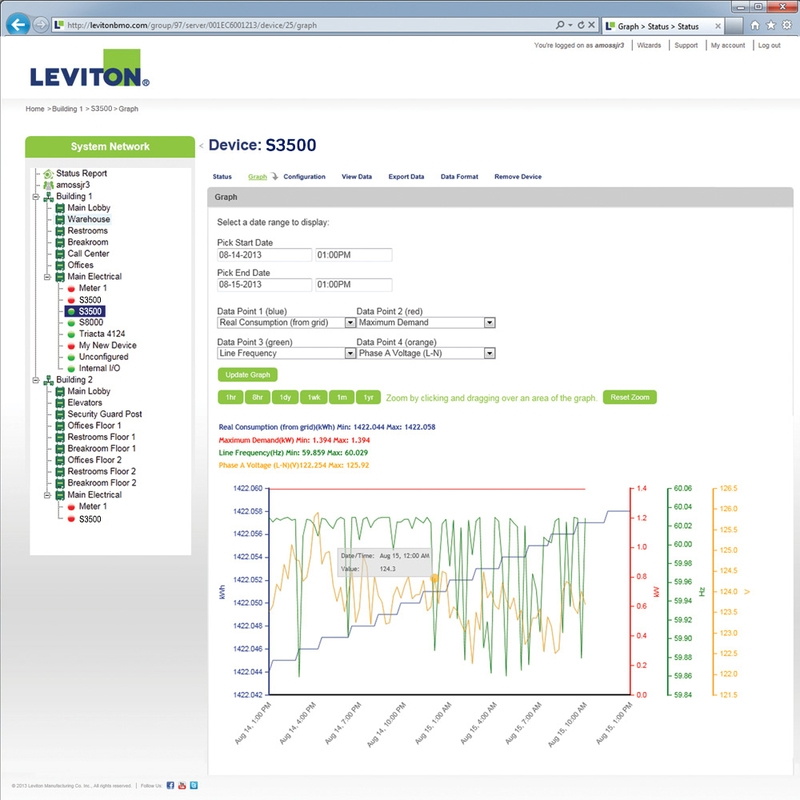 Visit Leviton.com/verifeye for tips on picking the right submetering component solutions for your facility. Ready to start your system? Our new BMO tutorial video guides you through setting up a new account and assigning devices to receive real-time tracking information. Watch your energy savings soar with VerifEye and BMO 2.0!